I love caring for your pets. My husband jokes that I spend more time with your pets than I do with him. It’s true. I spend a lot of time here at Tampa Veterinary Hospital, because caring for your pets is our first priority. But when I do have an opportunity to spend time away, I love to travel. It’s now officially summer, and the busiest season for vacation travel. If you’ve ever considered traveling with your pet(s), but decided it is too much extra work- think again. Yes, there is extra effort involved to plan your trip with your pet, but having your furry best friend with you could be rewarding. Here’s what you should consider. I know most pets don’t like being in a crate, but this is really the best place for them while traveling. Whether your best friend is a Chihuahua or Great Dane, there is an appropriate size crate for them. Granted, a large crate requires a full-size SUV or similar vehicle, but a crate is the best- and safest- way to go. Make sure your crate is large enough for them to fully turn around. Line the base of the crate with a blanket or pet bed for their comfort. Make sure you don’t act like the crate is a punishment, as they’ll resist getting in. Put their favorite toys or a small amount of food or treats in there so they’re enticed to enter, and don’t think of the crate as a punishment. Don’t ever allow your pet to sit in your lap as you drive. It may seem like common sense, but I see people almost every day with their pets in their laps as they try to navigate traffic. Today, we have enough distractions while driving. Your pet should not be another one. Motion sickness can be a problem for some pets, even on shorter trips. Make sure to feed your pet two to three hours before embarking on your journey, and make the meal a little smaller than normal. 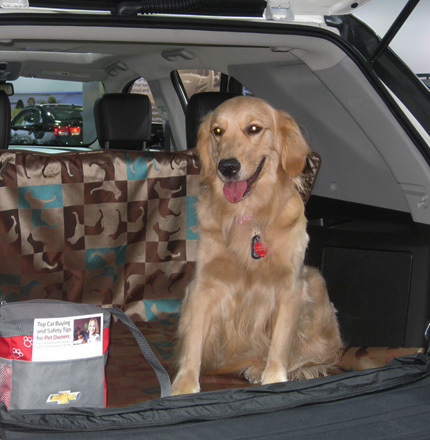 Your pet’s belly (and your car’s interior) may thank you. For longer trips, try exercising your pet before you head out. You don’t want all of your pet’s energy to rear it’s head when they’re in the car. A little rest in the car will do them good, and prevent distractions when you’re driving. If your car isn’t large enough for a crate, keep your pet confined to the back seat. Many pet supply stores carry harnesses which are safe and comfortable. For longer trips, make sure you take frequent breaks, so your pet (and you) can stretch their legs, and take a needed potty break. You’ve probably seen lots of cute dogs with their heads out the window cruising down the road. Sure, it’s cute, but it is also dangerous. Do not allow your pets to do this. If you must come to a sudden stop, or you’re rear-ended, the injuries to your pet would be traumatic. Keep the windows up, and if you have a window lock, turn it on, so your pet doesn’t accidentally roll down the window. Even though we say it all the time, we must say it again; NEVER leave your pet unattended in the car. Not with the windows cracked, not in the shade. Not ever. We still see stories on the news about pets being locked in hot cars with unfortunate outcomes. Traveling out of the country to these destinations is pretty simple. Where do I stay with my pet? The great news is, in the last 10 to 15 years, the number of pet owners traveling with your pets has exploded, and hotels and resorts have adapted their pet policies in turn. There are more than 20,000 locations across the world that welcome pets, ranging from basic campgrounds to luxury hotels and resorts. Naturally, each will have their own rules, weight restrictions and deposit policies. Be sure to check with your destination before rolling into the lobby with your pet. 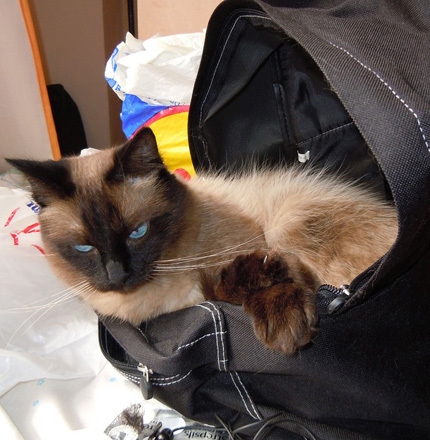 Of course, we’re here to help with any pet related travel issues you may be concerned about. Please let us know how we can help.